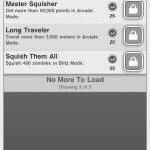 Squish The Zombies ($0.99) by AQSystem brings fast-paced rolling action to your iPhone! There is the generalized zombie stereotype nowadays - an ugly, disgusting ghoul that you just want to kill right off with a gun, or some weapon like that. But what if you are only given a snowball? Oh, and the zombies aren't the disgusting stereotype, they're zombified penguins. What then? Well, then you have Squish the Zombies. 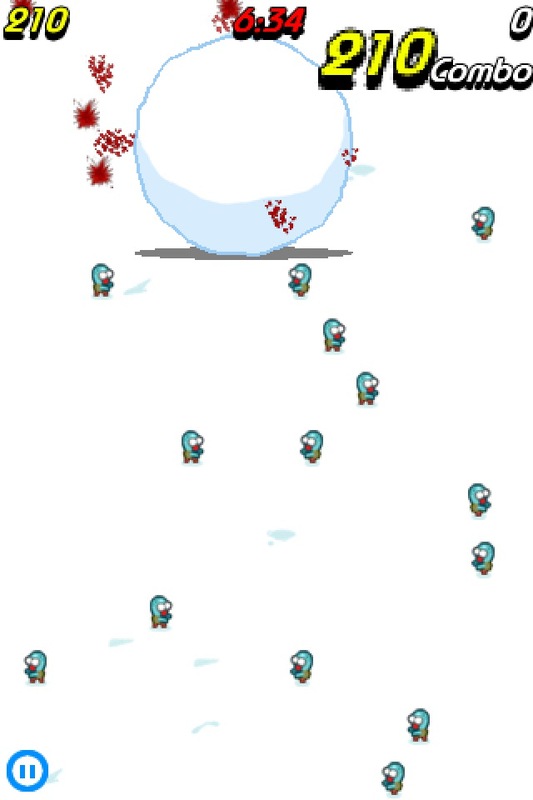 In this game, the premise is simple - control a snowball by tilting with the accelerometer, rolling down a mountainside infested with penguin zombies, using this snowball to squish them. 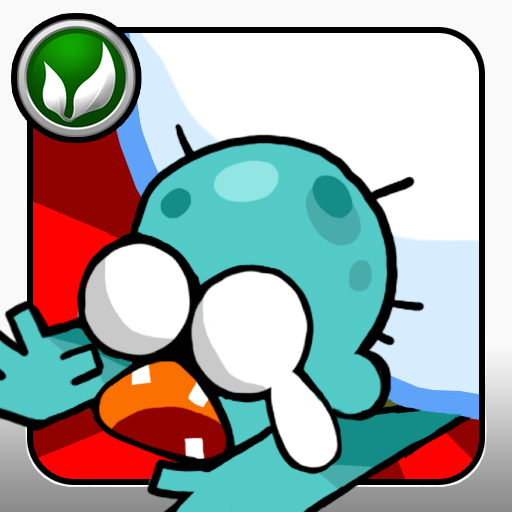 The ball will get bigger as you squish more adorable penguin zombies, which will make it easier to squish more at a time. There are two gameplay modes - Arcade and Blitz. 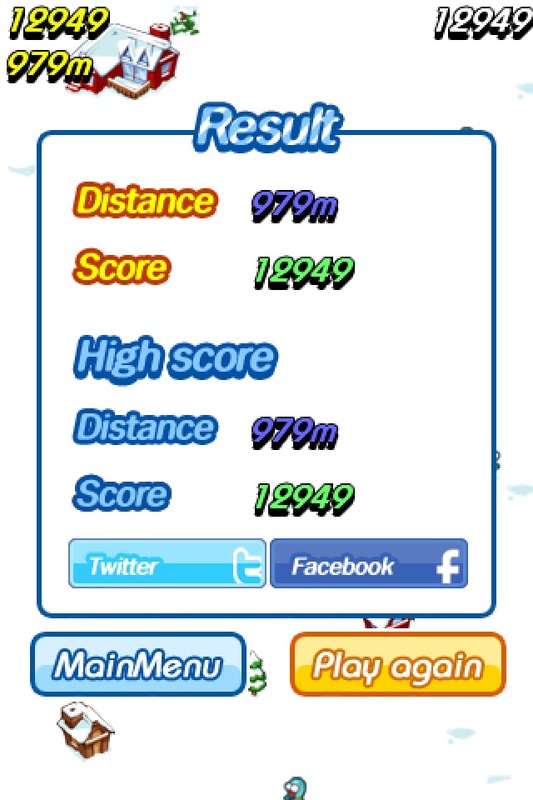 In Arcade, you have obstacles as well as zombified penguins. 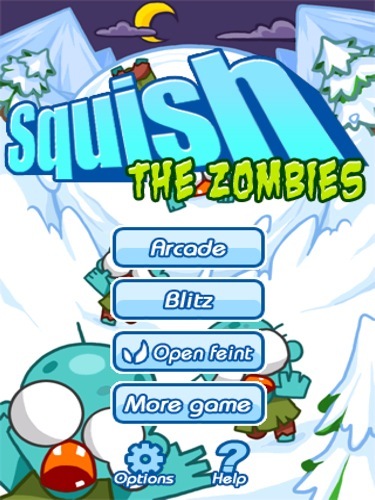 Squish the zombies while avoiding trees and cabins. There's ramps that give you some airborne time too, perhaps to avoid any other kind of obstruction immediately in front of it. 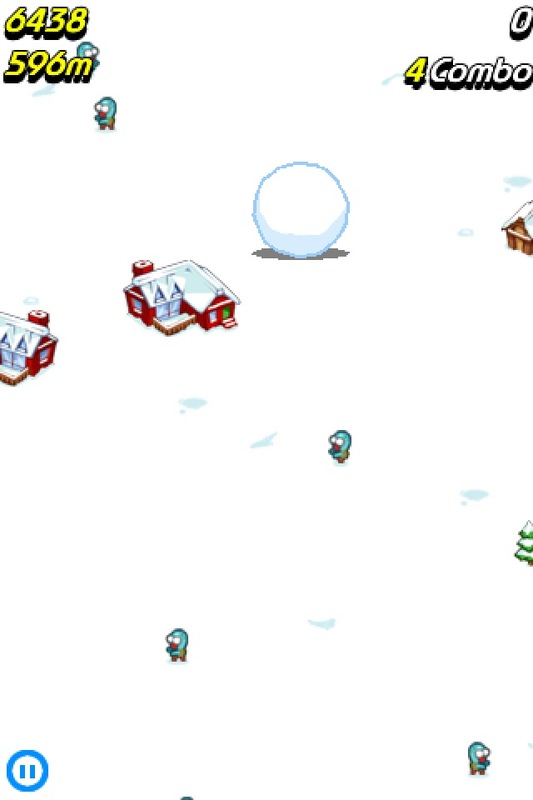 If you hit an obstacle, your snowball will shrink. 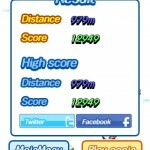 If you hit another obstacle while your snowball is tiny, it's game over. 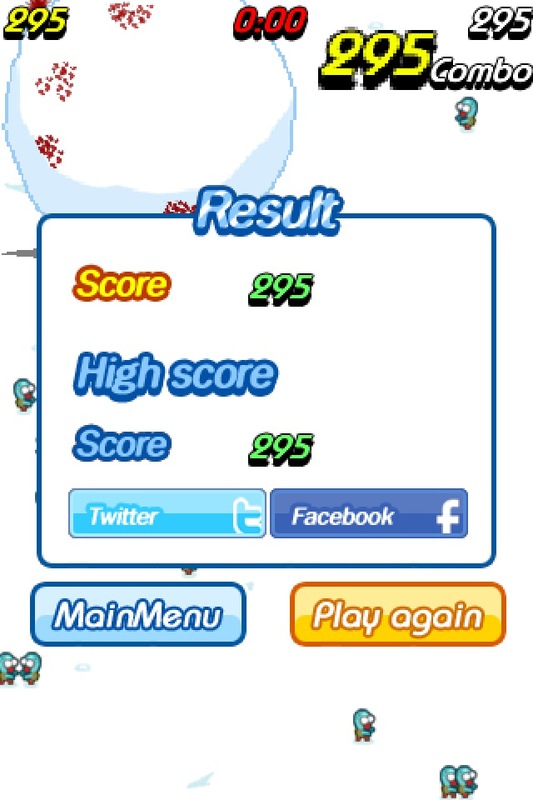 The score is determined by how far you've gotten. Blitz, on the other hand, simply gives you the snowball and a ton of zombies to squish in 60 seconds. 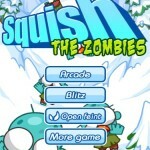 There are no obstacles to worry about, so it's just rolling and zombie squishing mayhem! The real challenge is to get the achievement, which is to kill at least 400 zombies in those 60 seconds. 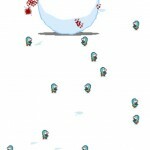 Even if you can't get that many, it's still fun to watch the snowball grow so big it takes up the entire screen, squishing every zombie that gets in the way. The game supports OpenFeint, so you can get the achievements and share your high scores with friends. 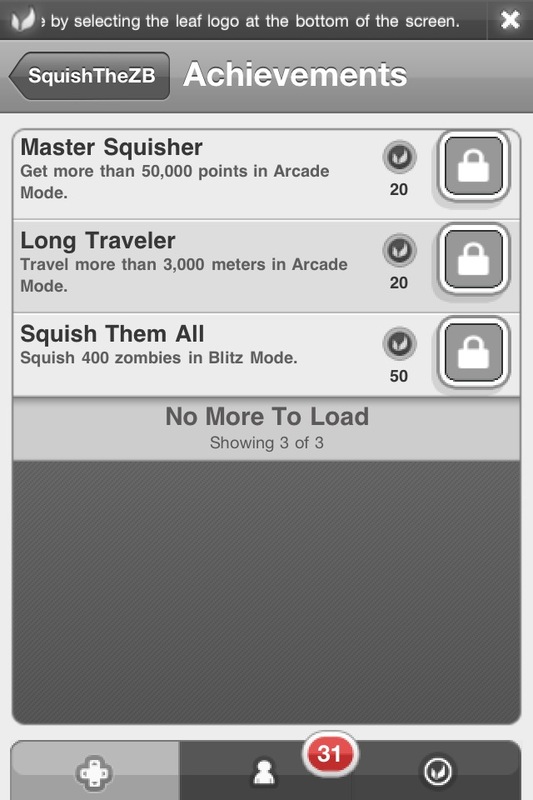 Though there are only 3 achievements so far, they're quite challenging, requiring a ton of squished zombies. It definitely gets you to play the game more until you can finally get the achievement and then you can pat yourself on the back. For a dollar, this game is sure to entertain you for a good while. 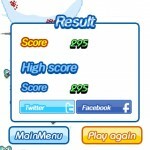 It's a simple game that you can play whenever you got a couple of minutes to spare. The controls and gameplay is simple enough for anyone to pick up, and OpenFeint integration is nice. I hope that there are possibilities for more gameplay modes though, and more variety of zombies. I mean, the zombified penguins are nice, but maybe have more zombified snow inhabitants? Variety is nice. But for what it's worth, this game is pretty fun for a buck and to kill some spare time. 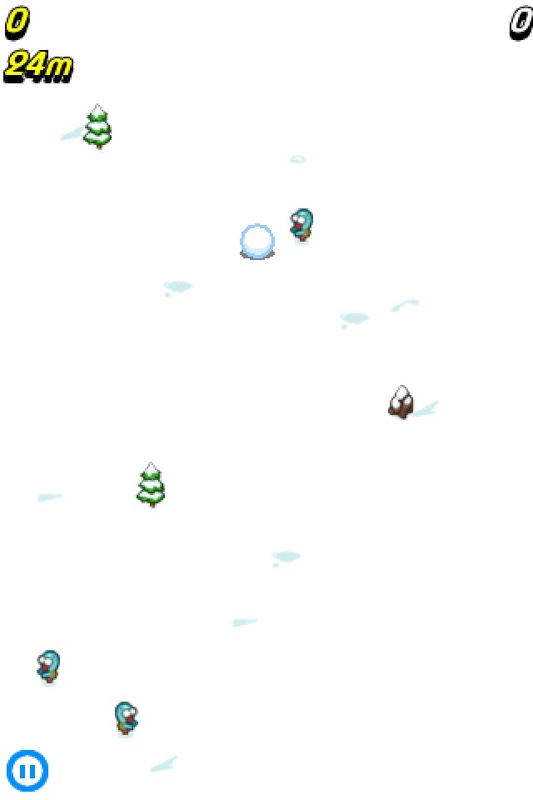 It kind of reminds me of that old classic Ski Free game I used to play, except you're not a skier. It must be the mountain and snow, but that's not important. Happy zombie squishing!